Made from aluminum, these gold-colored-finish frames feature a beaded inner border and a stylish black velvet backing. 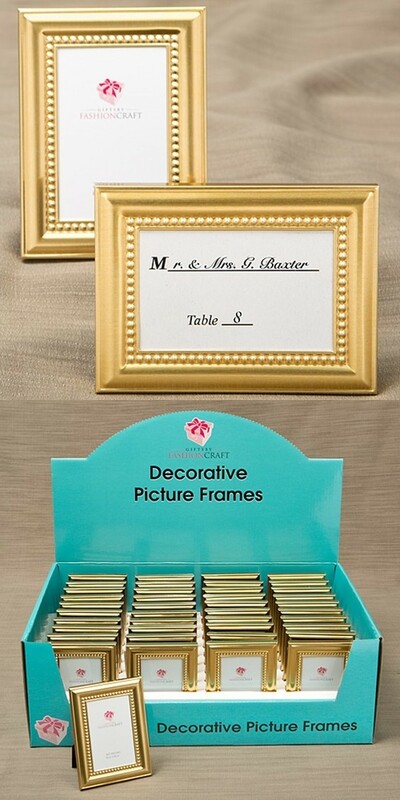 The frames may double as place card holders as they can stand vertically or horizontally. Each frame has a blank place card included and may hold a 2" x 3" photo. PLEASE NOTE: Sold in a display stand as a set of 40 and prices quoted below are per set.